After an eventful week, it was nice to spend Sunday at home with my hubby doing chores and relaxing. Hubby was so sweet to snap some pics of me before we headed off to a nice dinner. It was a sunny and comfortable day and this dress from Pinup Girl clothing is one of my very favorites and I enjoy wearing it. Also, it is one of the first dresses I purchased when I started living my pinup girl life almost a year ago now. Cherries always make me smile!! 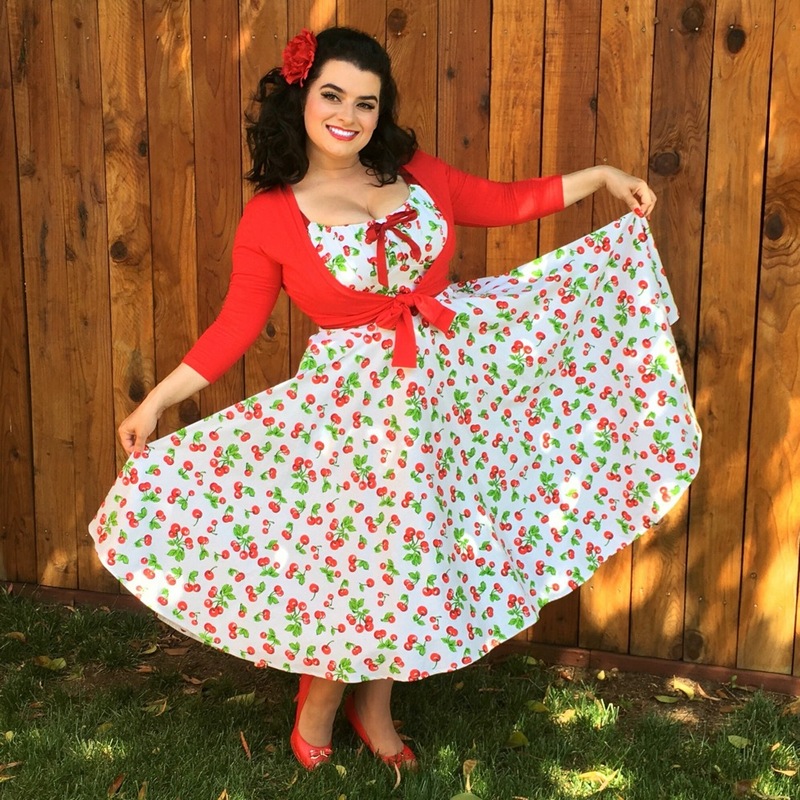 Dress is the Molly from Pinup Couture and has a nice long swing skirt, has a crisp white background decorated with bright red cherries. The fit of this dress is superb and very accommodating for us dolls with large and full breasts and even has adjustable straps. The bow in front can be tied loose or tight and has a gathered bodice for a nice curvy fit. There are also pockets!! I paired this one with my Heart of Haute sweet sweater in red and the tie in front adds a nice shape to the overall look. A pretty red NiCoCo Creations hair flower completes my look. I got try out my new parasol too as I enjoyed our garden with the pretty blooming plants. Can’t wait another month for car show season to begin down here and that parasol won’t be leaving my side!! 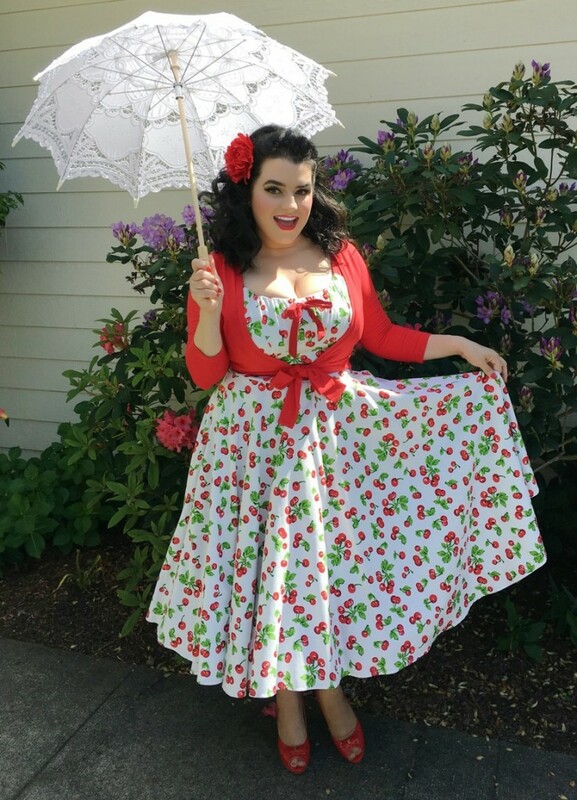 Keep an eye out for more Molly dresses from Pinup Girl Clothing as they are feminine, fit curvy girls very nicely and are so comfy and make you feel gorgeous! !